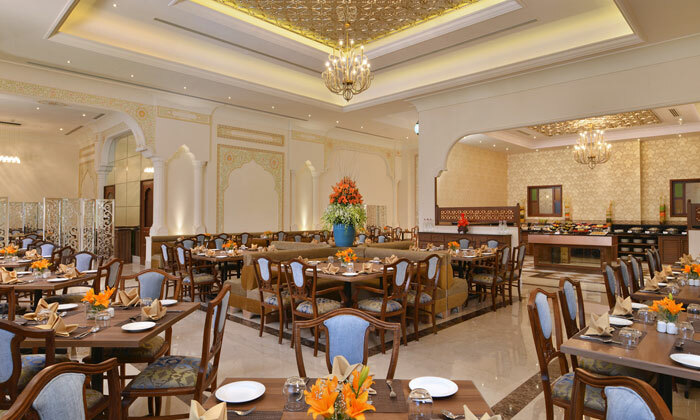 Welcome to Angithi; a restaurant as royal as the hotel within which it is set, Angithi is where you get to indulge in gourmet food preparations that have been brought in from all around the globe and of course, from the royal lands of Rajasthan as well. As authentic as it gets, the regional fare at Angithi is something worth a try. The ambience reflects the true colours and the culture of Rajasthan, making you feel like &quot;your highness&quot;. Savour the flavours while enjoying the fine selection of beverages along side and indulge, not just in the taste but in the experience that Angithi is.